Many people often lament the fact that it is almost 2015, the year that Marty McFly (Michael J. Fox) visits in 1989’s classic Back to the Future Part II, and we’re still no closer to getting our very own hoverboards. There was that one time when the Internet exploded all over the place thinking they were on the way, but as you’ll remember that turned out to be a hoax, of course. And while we’re not going to be able to step on a real Mattel brand hover board anytime soon, you can get pretty close, assuming you have a spare 15-grand. 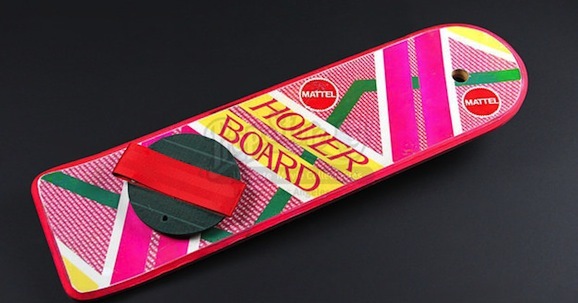 Marty’s actual hoverboard from Back to the Future 2 will be up for auction. Yes, the actual prop from the film will be available for you to drop all of your hard-earned dollars on this October from Propstore, and the estimated asking price is 15,000 pounds. That may sound like a lot of money, and it certainly is for most of us, but you have to remember that this is the board that Marty swipes from that kid to outrun Griff Tannen (Thomas F. Wilson), the future son of familiar jackass Biff Tannen—all fathers and sons should have rhyming names. Just remember, don’t ride it over water, it doesn’t work very well when you do that. As far a movie memorabilia goes, it’s hard to top this. Of all the gadgets and gizmos in all of the science fiction movies I’ve ever seen, this is the one I’ve always wanted to become a reality. I spent 20-plus years riding a skateboard every day, so this seems natural, even though replicators, transporters, and all manner of artificial intelligence would probably be way more practical. Okay, I just rethought my stance, it’s a tie between hover boards and lightsabers as the sci-fi inventions that I most want to actually want to get my hands on. There are replicas, but they’re not the same as the real thing. This isn’t the only bit of science fiction movie history that you can get your hands on later this fall. 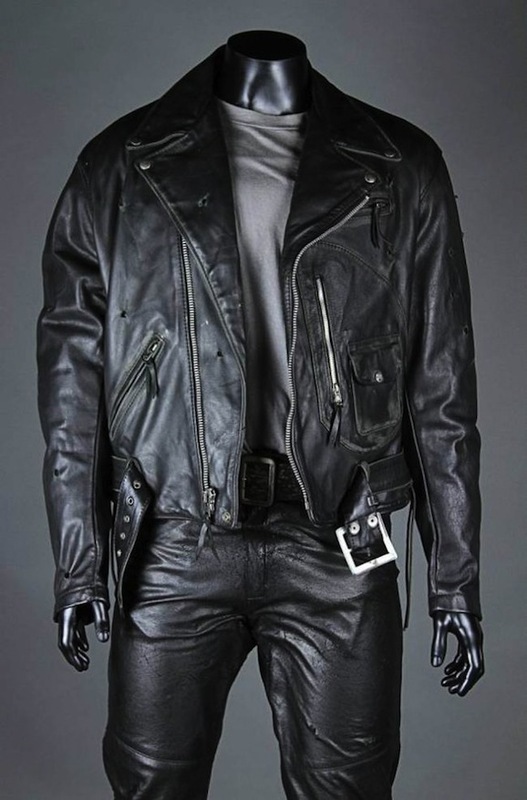 For the bikers in the audience, or perhaps just the leather enthusiasts out there, you can bid on Arnold Schwarzenegger’s costume from Terminator 2: Judgment Day. That’s also a pretty good time, though you have to imagine things got rather warm during filming, and in my head this smells an awful lot like Arnold sweat, and that’s kind of gross. Still, it’s a pretty cool artifact from one of the best sci-fi movies of all time.